The Preschool and Mother's Day Out program, here at First Presbyterian Church of Smyrna, was established in 2001. Their mission statement is to provide loving, nurturing and educational Christian care for children in our community. To help children develop important life skills, a sense of self-worth, acceptance and respect for others, to know God, Jesus and the Bible in their lives, and to develop an excitement for learning. Classes are Tuesdays and Thursdays from 9 a.m. until 2 p.m. 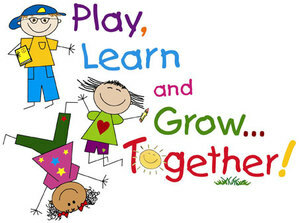 The program is structured with each age group having an established daily schedule consisting of class time, craft time, playtime, music, snack and lunch. The program is for ages 2 years through pre-K. Classes begin the Tuesday after Labor Day in September and finish the year mid-May. This program is not year long and follows the Rutherford County School schedule for holidays, weather related days, etc. Throughout the year there are various themed days where your child can dress up for Dr. Seuss day, wear pajamas, crazy hair day, etc. REGISTRATION for the 2019/2020 (Sept. - May) school year is now taking place. A registration fee of $70 will be due, per child, the day of registration to hold your child's spot. Check or cash only, at this point. Beginnning July 1, the registration fee is $90. For more information and space availability, please call and leave a message at 615-220-0222 or email either of the directors at dmaking@att.net or darfpcmdo@aol.com.